After her parents prayed for ten years to have children, they gave birth to ten children. Helen was the third of the ten. She felt her calling to give her life to God for the first time at the age of seven. At eighteen she asked her parents permission to join the convent, but they refused. She thought that because God has given us a Commandment to respect our parents, that she didn't have to follow the strong call from within. This vision of Christ and His words made Helen determined to do God's Will no matter the cost. When she went to the nearest church to pray, the Lord told her to join the convent at once. Helen joined the Sisters of Our Lady of Mercy in Warsaw, Poland on August 1st, 1925 at 19 years of age. She received a new name - Sr. Maria Faustina and later added, "of the Most Blessed Sacrament." She lived in the convent thirteen years working as the cook, gardener and doorkeeper. Jesus commanded her to write. This was very significant because Sr. Faustina only had two and a half years of elementary education. When she complained because of her lack of education, Jesus told her that He would make up for what she lacked because the Diary would be for the benefit of many souls. The book itself contains 644 pages - truly a feat of God's miraculous intervention. When she had almost finished the writing of the book, Jesus told her that what she had written was but a drop compared to the ocean of His mercy and that there was nothing of her in it. Sr. Faustina died of tuberculosis on October 5th, 1938. Pope John Paul canonized her in the year 2000 and now we celebrate her feast day on October 5th. 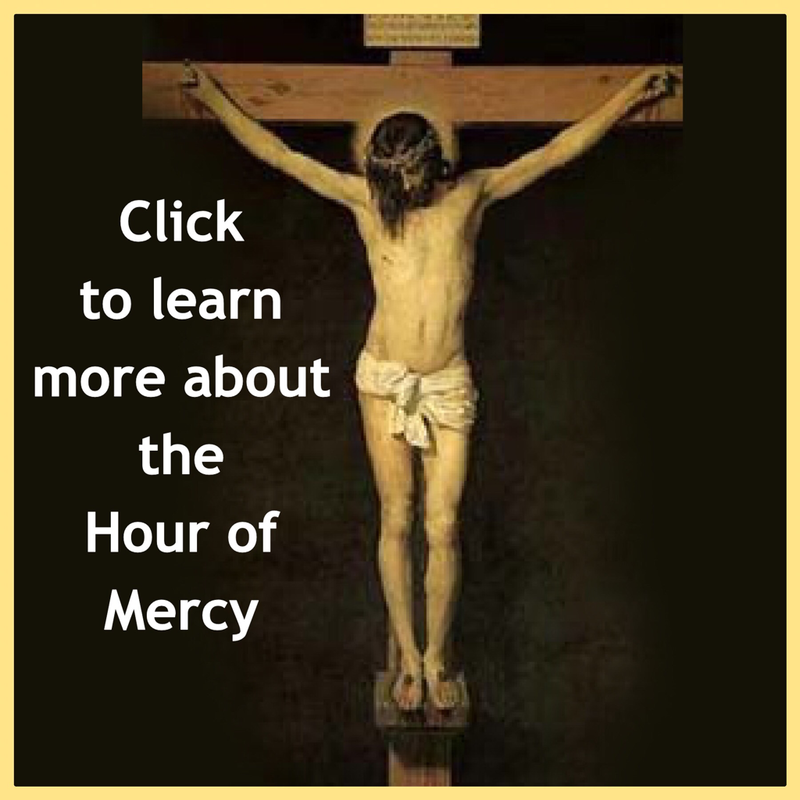 Through the Diary of St. Faustina, Jesus is giving us five new ways of worshiping His mercy. These are means of grace to draw souls to His goodness. This is a message of hope because He came to seek us out and save us. 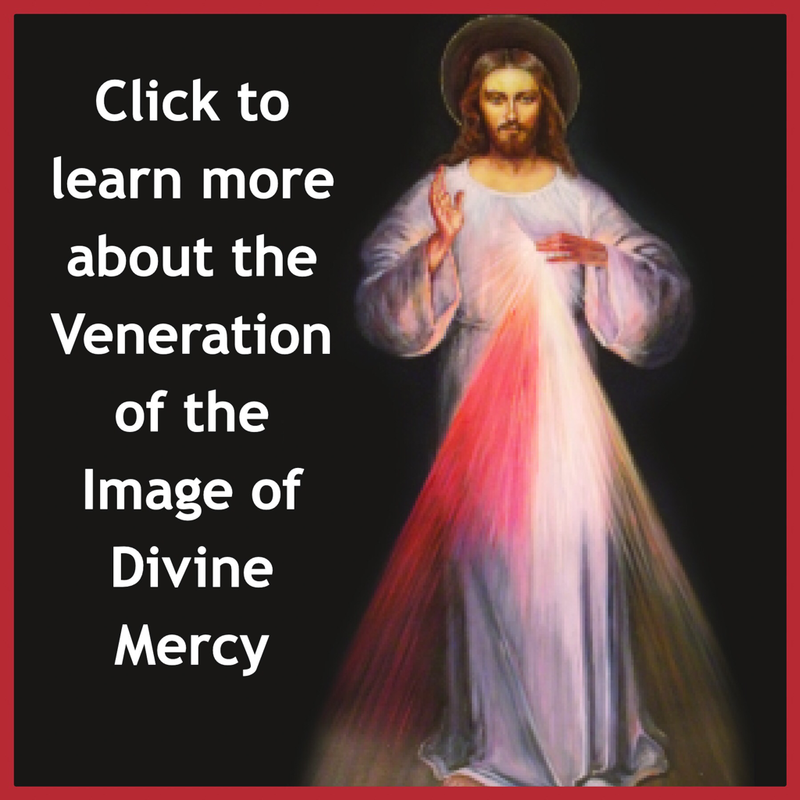 ​ The first form of worship is through the veneration of the Divine Mercy Image - a picture depicting the way Christ Jesus appeared to St. Faustina in 1931. 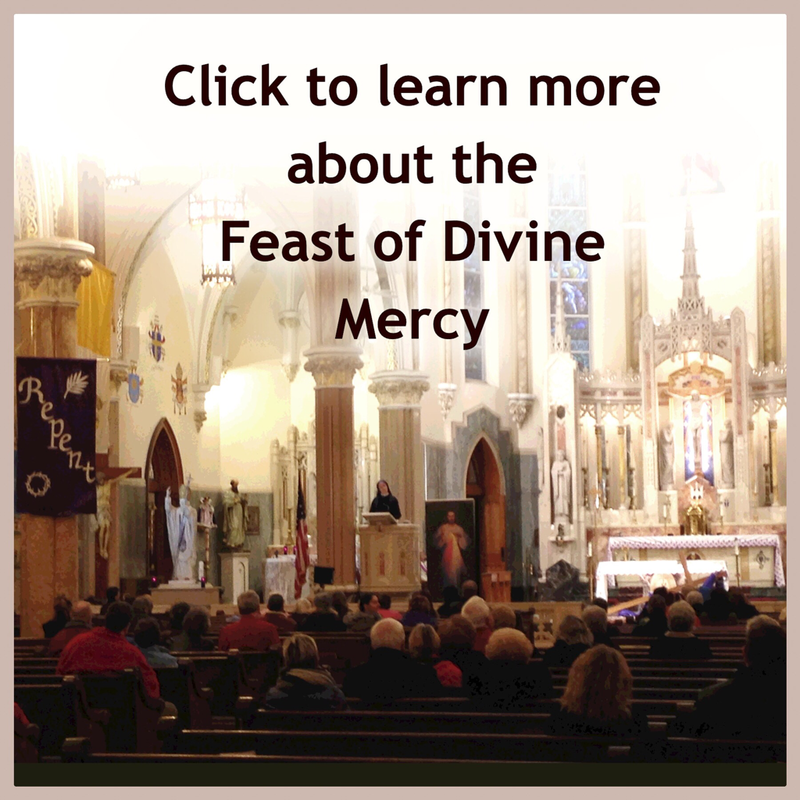 The second form of worship is the celebration of the Feast of Mercy on the first Sunday after Easter, now established in the Catholic Church as Divine Mercy Sunday. 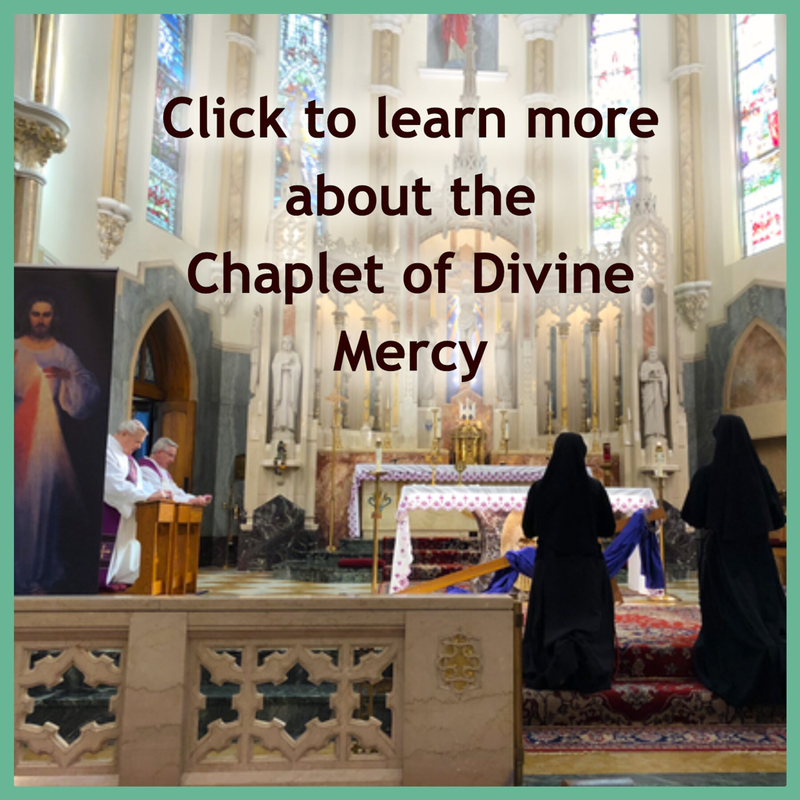 The third way of worshipping God's mercy is through the recitation of the Chaplet of Divine Mercy - the prayers to appease Divine wrath that Jesus taught us through St. Faustina in 1935. The fourth way of worship is recalling the moment of Christ's Passion and Death at 3 pm every day. 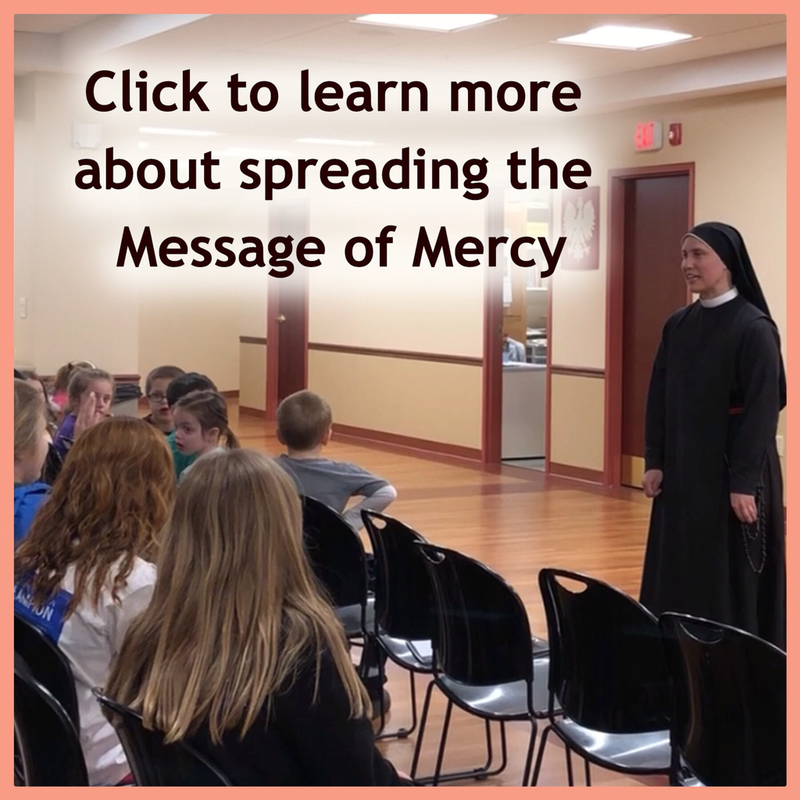 The fifth form of worship is by spreading the message of God's mercy, even by encouraging someone to trust in Him or by performing works of mercy. 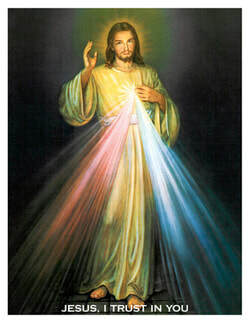 To each of these five ways of Divine Mercy worship, Jesus has attached singular graces. Jesus says "the flames of mercy are burning me, clamoring to be spent!"